The most documented versions indicate that the city of Navarro was named in tribute to Captain Miguel Navarro, to whom Juan de Garay grants in charge the indian chief Pibisque (or Chivilque) with all his Indians. From this fact, some historians deduce that the Navarro lagoon took its name from that official too. San Lorenzo refers to the patron under whose advocation the Guard was placed and then the party. From then on, the town grows. In 1866, another legendary character settled down in the place: Juan Moreira, personal custody of Dr. Valentín Alsina, who in 1867 kills the defiant alsinista José Leguizamón in a cruel duel in Olazo’s bar, located where the Banco Nación is placed today, only to die shortly after at the hands of a military party in Lobos, on April 30 of that same year. A violent birth, that of the town of Navarro, that does not agree with the current bucolic and peaceful life of today’s town, strongly moved by culture. “Navarro village of Moreira, Navarro tomb of Dorrego ...” (Zamba de Navarro), “in the face of all adversity, with courage and faith, without retreating”, continues forward. In 1889 the Civil Registry began to operate, in 1898 the railroad from Lobos began, and in 1906 the hospital was built. It would be more than a century after, in 2010, that the joint effort of the Cultural Institute of the Province of Buenos Aires and the Municipality of Navarro, made possible the creation of the First Biennial of Painting Lucio Correa Morales, named in honor of the famous pioneer sculptor of that discipline in Argentina, born in 1852 and died in 1923, who, thanks to a scholarship granted by President Sarmiento, could travel to Florence to study at the Royal Academy of Fine Arts. Upon his return, and parallel to his activity as a sculptor, Correa Morales taught at the University of Buenos Aires. Sbernini, with a valuable career in the country and in the world, accompanied by the prestigious sculptor Inés Vega, advicer of the Directorate of Municipal Culture. Argentine sculpture, Lucio Correa Morales, born in Navarro, the Director of Culture, Graciela Garaventa de Jordán, artists andpublic, on Thursday, July 8 at 7:00 p.m., in the Parish Hall adjoining the Municipal Palace, the awards ceremony was held. 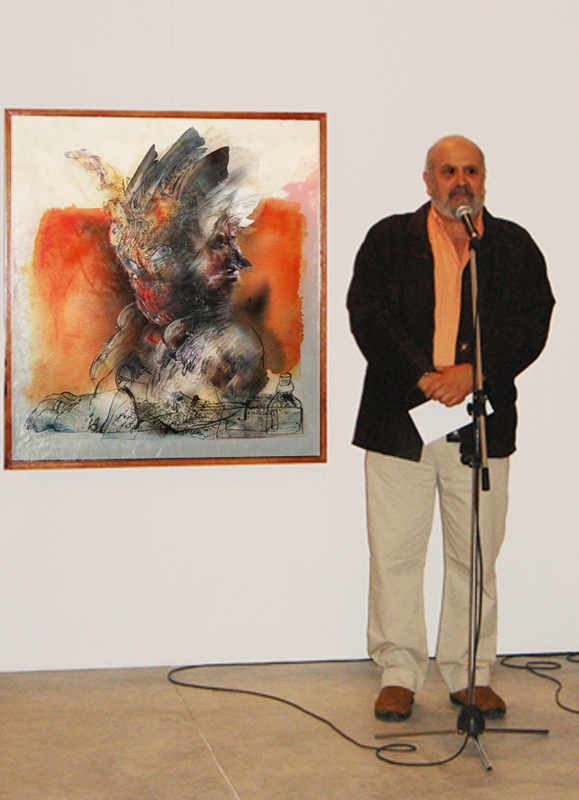 Horacio Cardo, artist from Pinamar, painter and illustrator, was the winner of the first prize, and his work received the admiration of all those present. The second prize went to Andrés Caravelli. 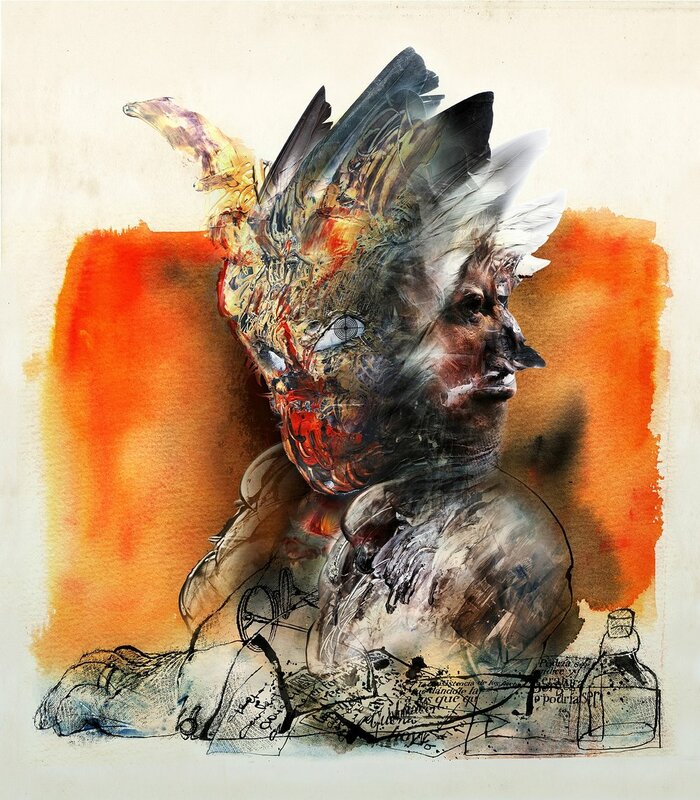 The young artist chosen was Juan Manuel Fiuza. The mentions of the prestigious jury were for Juan Carlos Diotti, Nahuel Poggi, Maria Cecilia Gelsi, Sebastian Pastorino, Mariela Vita, and Cristian Amézcua.